Pretty Purplexing: How Brave are You? 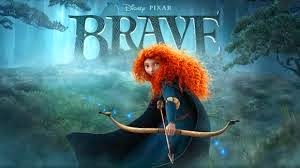 I am surrounded by little children all day, so is it surprising the first image that comes to my mind when thinking of bravery is the Disney movie 'Brave'? If you haven't seen it, you should. It's one of my favorite Disney movies. When I think of being brave, I think of a soldier placing himself in danger to protect our country. I think of a police officer putting himself in the line of fire to make society feel safe. I think of a fire fighter putting out fires to save our homes and lives. These men and women do things that a lot of us are afraid to do. Then there are others who are brave, just because it's the right thing to do. One story of bravery puts me in tears every time I think of it. A 27-year old Sandy Hook teacher, Victoria Soto, sacrificed her life when she hid her students in a closet to protect them from crazed gunman, Adam Lanza. When Lanza entered her classroom, she told him that the students were in the gym. The terrified kids started running from the closet and Lanza began shooting. Soto threw herself in front of the children and was killed. The last moments of her life were spent protecting her young students by using her body as a shield against bullets from the deranged madman's gun. to catch a stink bug but FREAK when I see a spider. to tour colleges even though I am not ready to let my son go. to get on fast rides at an amusement park, but refuse to go on a roller coaster. to fly in an airplane even though I am terrified of heights. to forgive even when I've been emotionally hurt. okay, maybe not. I'll be worried the entire time he's gone. to venture into my teenage son's bedroom/bathroom AND clean it!! What fears have you been brave enough to conquer? Thanks to our host, Rory Bory at Time Out For Mom. Are you brave enough to join us during our weekly Tuesday Coffee Chat? there are all kinds of bravery I think. And the world needs all kinds: it needs the soldiers, the police, and the fireman: but it also needs mothers strong enough to fight and be voices for their children. It needs ordinary people who act extraordinarily when tragic circumstances are presented. Sometimes you just don't know how much courage you have; until you need it! I love your approach to being brave. My mother always says "you worry about your children from the day they are born until the day you die"
You mother is right. It doesn't matter how young or old your children are. Worrying is a part of motherhood. I love this. You make a lot of sense. Well done!